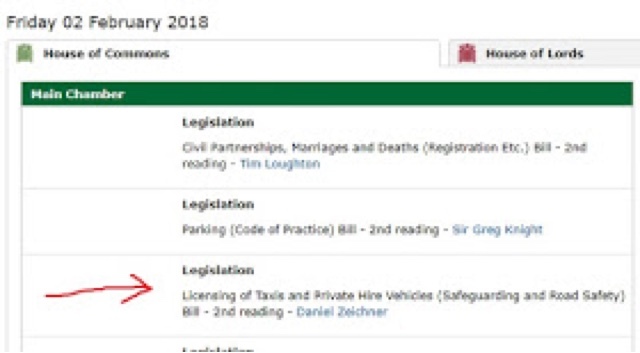 Friday 2 Feb see's the second reading of the Licensing of Taxis Safety Bill. Below is the Bill as it stands at the Moment, it will naturally be amended at later stages. Click this link to read the Bill. Below is a letter sent to a Taxi driver Member of the LCDC, by the new Transport Secretary Jo Johnson. 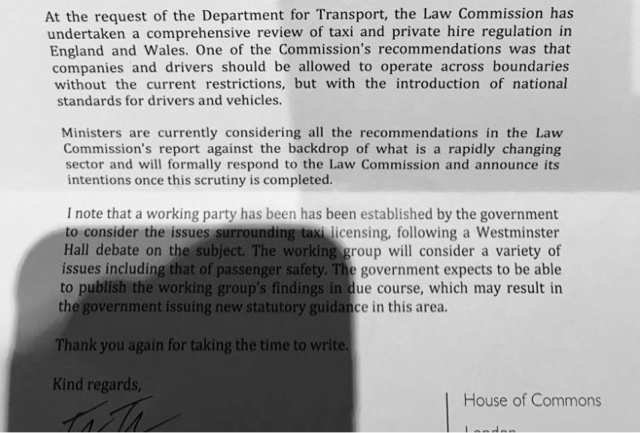 Here is another letter from the new Transport Secretary, sent to a member of the Save Black Taxis Group. It's nice to see that these letters areas to be written individually and are not just a standard letter. Thank you for writing to me about Uber. I want both taxis and private hire vehicles to continue to prosper throughout London and the UK. Passenger choice is important, as is continued industry innovation and the protection of jobs. However, I understand your concern for this issue. Regarding the licensing of taxis and private hire vehicles, this is a matter for local authorities, but it is important that all transport operators meet appropriate standards to ensure a safe service for all passengers. 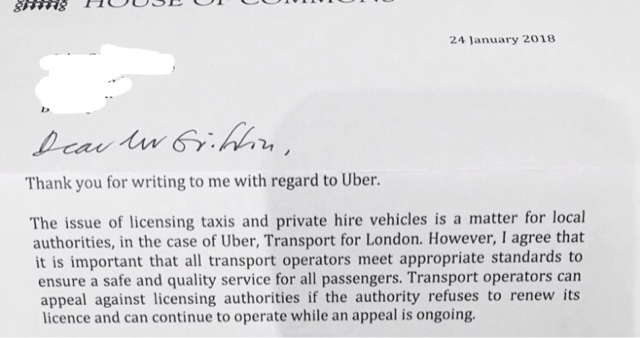 As I am sure you know, transport operators can appeal against licensing authorities if the authority refuses to renew its licence and can continue to operate while an appeal is ongoing, as has happened regarding the case with Uber. Ministers at the Department of Transport have established a working group to consider the issues surrounding taxi licensing, following a Westminster Hall debate on the subject. The working group will consider a variety of issues including that of passenger safety. Ministers expect to be able to publish the working group's findings early this year, which may result in the government issuing new statutory guidance in this area. The Law Commission also recently undertook a comprehensive review of the taxi and private hire regulation in England and Wales, at the behest of the Department for Transport. Ministers are currently considering all the recommendations in the Law Commission's report against the backdrop of what is a rapidly changing sector and will formally respond to the Law Commission and announce its intensions once this scrutiny is completed.